Since trying out Charlotte Tilbury’s Magic Foundation (check out my review here), which I am totally in love with right now, and after hearing so much about Charlotte’s Magic Cream going hand in hand with the foundation, I thought that I would yield to temptation and invest in this magical ‘dew of youth and luminosity‘. I’ve heard many mixed reviews about the Magic Cream but I was still eager to try it out for myself and after countless visits to the Selfridges CT counter and them never having any samples in stock, I just couldn’t resist but buy the whole jar! Now onto the cream itself! I’m still uncertain as to how I feel about it exactly, but I have made some conclusions which I feel are pretty accurate considering I’ve been using it for about two weeks now. My skin type is currently normal to dry and as winter is approaching, my skin always tends to become dryer around this time of year. With all of our favourite ingredients including hyaluronic acid, damask rosewater, rosehip oil, vitamin C and spf 15, it can transform dull and lifeless looking skin into a glowing complexion within seconds after application. My favourite ingredient has to be the hyaluronic acid – this stimulates collagen production to reduce the appearance of pitted scarring and fine lines, smoothing out the skin for a more even finish. I can definitely say that my skin appears more hydrated and and slightly more plumped around the areas of my imperfections, so for me that’s a plus! For someone with normal to dry skin, I think this moisturiser works perfectly. However I would not recommend this formula for people with combination or oily skin. The formula is very creamy but absorbs quickly into the skin leaving a soft and pearlescent finish. This may emphasise shine on combination or oily skin which can look unpleasant. Like in many of Charlotte’s videos, she would always start by using the Magic Cream as a base for make up thus serving really well as, a primer and providing a smooth canvas for foundation. When I use the Magic Cream in combination with the Magic Foundation, the result is incredible! So, all in all, the pros and cons seem to outweigh each other. I don’t regret my decision buying the Magic Cream, it’s a beautiful moisturiser which I will continue to use however for me, this moisturiser is more of a luxury skin rejuvenator which I would use a 3-4 times a week rather than everyday! My obsession with Charlotte Tilbury makeup is still at an all time high and I have next to review the Matte Revolution Lipstick, is this something you’d like to hear about? 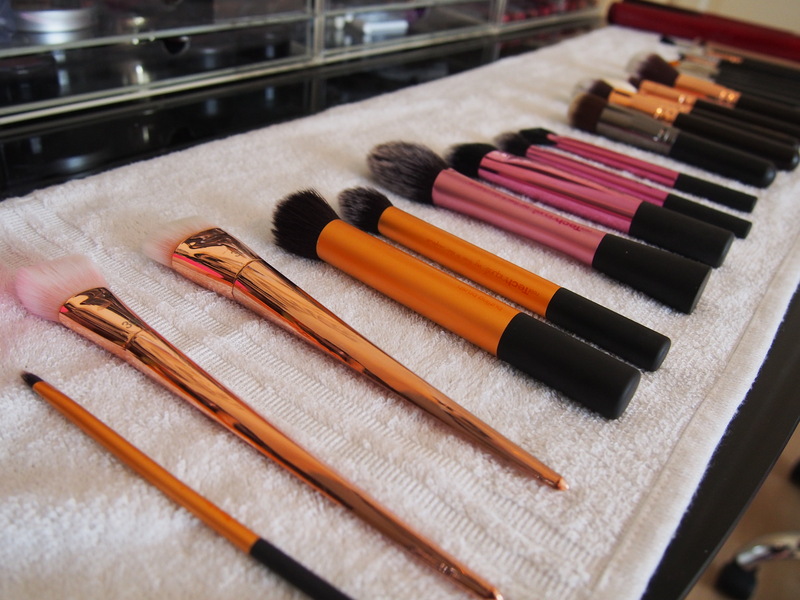 It’s the end of the week and of course, this calls for a deep brush cleaning day! I’m super lazy when it comes to cleaning my makeup brushes but I hadn’t done so in a while and they really needed a good clean so I thought I’d share with you guys, my brush cleaning routine, it’s super simple! I have gone through a variety of brush cleaning products like shampoos and soaps as well as soap bars but I haven’t found any to do as great a job as the BlenderCleanser. Primarily used for cleaning the makeup off your Beauty Blender but I’ve found it works just as well for make up brushes too! 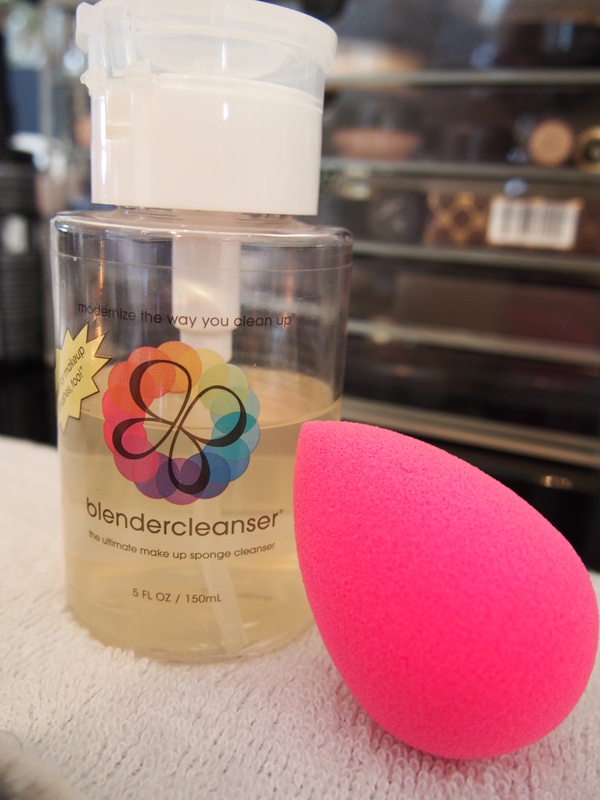 This blender cleanser perfectly cleans the Beauty Blender, leaving it as good as new -with a lovely, light, lavender scent. 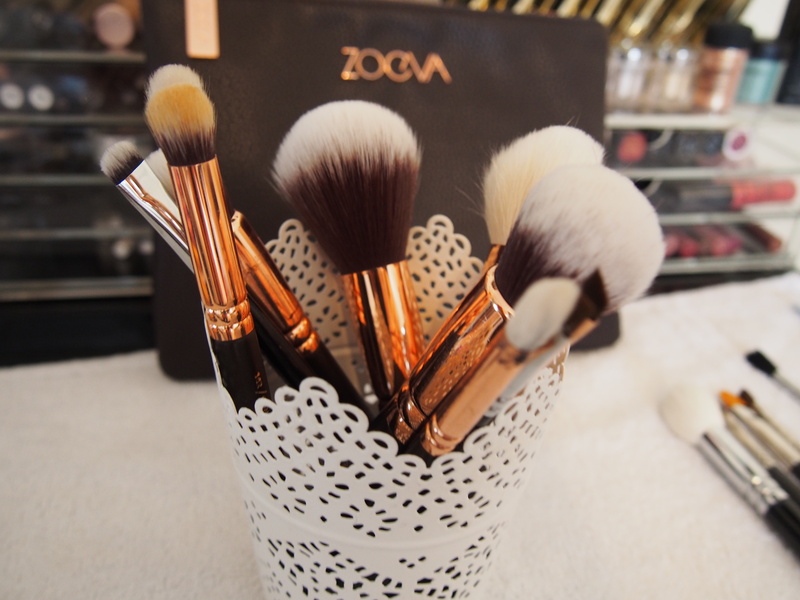 With a pump dispenser, it squirts the perfect amount of product to clean your brushes and blender – I tend to use one pump for each brush and two for the more dense brushes. It lasts ages! I’ve used less than half and I’ve probably had the cleanser for nearly a year now. This one’s a little tricker as you have to be careful not to puncture a hole in your beauty blender (Confession: I have a hole in mine 😦 ) I apply some cleanser onto the blender and gently slide my thumb along the blender, pushing the product away under warm water. And thats it! How do you guys clean your brushes? I’ve read in some reviews that this cleanser actually removes some of the pink dye on the blender, but it has worked really well for me and I haven’t experienced that, have any of you? 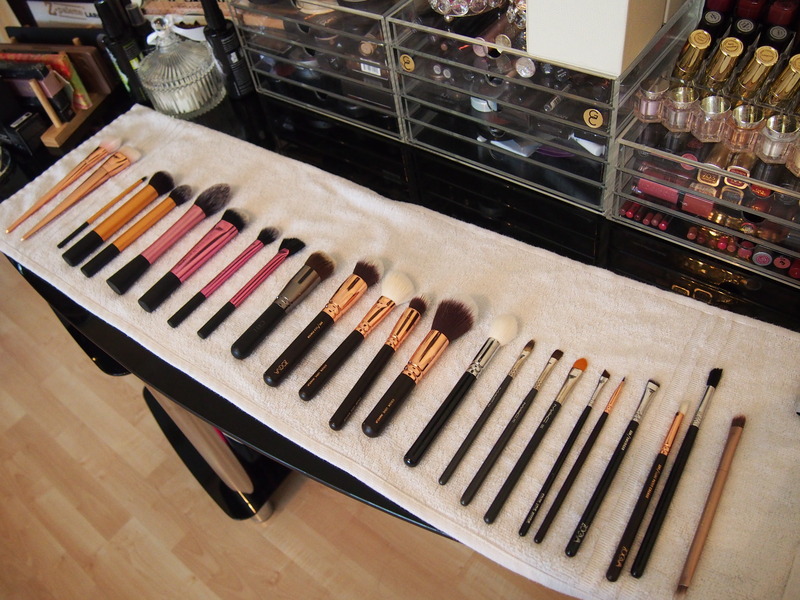 I also really want to try a soap bar from Lush to clean my brushes, what do you think? P.S. I used my new camera for the photos in this post! 😀 Check out my post here if you haven’t already! What do you think of the photos? Applying a tablespoon-sized dollop onto your hair and really working it into those ends and the scalp, leaving it on for around 20 mins minimum (the longer you leave it the more nourished your hair becomes – I tend to leave it on overnight) and washing it off with shampoo, will add moisture and shine into those limp locks. Alternatively, after shampooing apply the oil to the ends of wet hair and leave on for around 5 minutes before rinsing giving you a great quick fix with a more hydrated and shiny look. Rub a pea-sized amount between your fingers to warm it up and apply it to the ends of your hair for all day frizz protection. It also leaves hair super soft and hydrated! 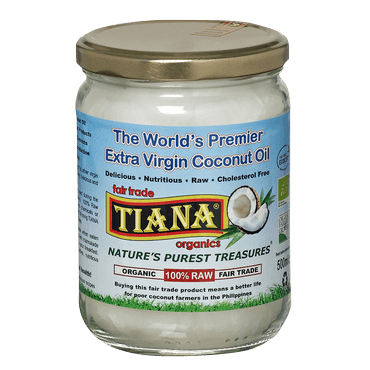 Coconut oil tends to come as a solid in a jar and because of this, it’s creamy, light texture makes for the perfect moisturiser to apply all over your body. Just by taking a finger-full amount for each part of the body and letting it sink into your warm skin when coming straight out of the shower, makes the perfect hydrant for your skin. Using this routine every other day and switching with a cream based moisturiser, would give the oil a couple days to penetrate through the skin before applying it again. Mix half a cup of sea salt or brown sugar and an equal amount of coconut oil and use your hands to circulate it around any dry patches on the skin. It removes all the dead skin cells, leaving your skin feeling baby soft and its super inexpensive! Add a few drops of vanilla extract, or your favourite essential oil to give your scrub a gorgeous tropical scent. One of my favourite, go-to eye make-up removers and yes, it works on waterproof mascara too! I usually remove the make up on my face first with Micellar Water and then move onto the eyes. Taking some liquified oil onto my fingertips and slathering it over my lashes and eyelids, I leave it there for around a minute and watch the makeup melt away haha. Taking a cotton pad, I gently sweep it over my eye to pick up all the make up and it really does come off in one swipe! Rinse with warm water and your done! Chapped lips won’t stand a chance against super hydrating coconut oil. Dap some over your lips before you go to sleep and wake up with hydrated, plump and super soft lips! It makes lipstick application so easy! Now I haven’t actually tried this one, but I’ve heard that it works really well as a highlighter so I thought I would suggest it. Taking the tinniest amount and sweeping it across the tops of the cheekbones, cupids bow and centre of the nose for hydrated skin which glows from within. A lot of natural make-up brands use coconut oil as a base in their formulas, so it must really work! Forget the store-bought shaving creams! With coconut oil’s skin-soothing properties, your razor will glide so smoothly allowing for a close shave and your legs will be moisturised in the process. I would usually shave out of the shower when using this as it can get quite slippery and combined with water, things could get a bit messy haha. It’s inexpensive, antimicrobial and leaves a lovely tropical scent! Do you guys use coconut oil? What do you like to use it for? 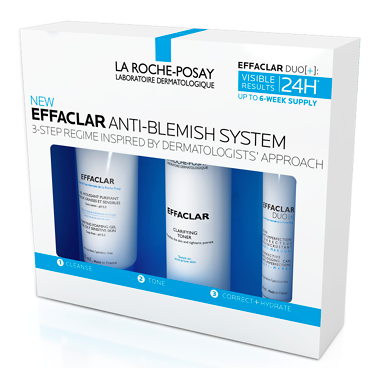 I thought I would share with you guys my thoughts on La Roche Posay’s Effaclar Duo [+]. This is one of my all time favourite face treatments and with my skin type being combination oily and blemish-prone, it’s the perfect treatment! The new ‘plus’ formula has the addition of an ‘Anti-Marks‘ claim compared to the original Effaclar Duo. It’s amazing at reducing the appearance of acne scars or redness on the face, with noticeable differences in no longer than 10 days! It’s a great cream based product and doesn’t leave a greasy residue, containing an effective amount of the topical disinfectant benzoyl-peroxide. It also contains the antioxidant vitamin E which works as an anti-irritant to help reduce blemishes and scars. It has a slightly fresh scent, which I prefer way more than any other benzoyl peroxide based product that can sometimes smell of detergent. As my skin type is combination oily and blemish-prone, this treatment has been a lifesaver! I have been using this for around a year now on an ‘on and off’ basis when I come across scarring on my face. I have seen noticeable differences in my skin and have received so many compliments on my skin with people asking what I’ve been using. I also find that this treatment works really well as a base for my make up, or as a make up primer. I always use it before starting my make up and it provides a really smooth feel when applying my foundation or tinted moisturiser. I apply this in the morning after cleansing and also at night after removing my make-up. I feel that it can sometimes be slightly drying so I would add the teeniest amount of coconut oil which helps to moisturise and hydrate my skin. With its gel-ish formula, it is surprisingly lightweight on the skin and it’s kept my skin feeling well-nourished and hydrated. It has a lovely calming sensation so even if a blemish is about to appear, it will reduce the breakout by keeping the area calm and clean. I love the tube packaging with a tiny needle nosed dropper making it super hygienic. It’s really easy to apply and you only need a pea-sized amount for the whole face. Each tube has 40 ml of product and it does tend to finish quite quickly if you were to use it everyday, so it can be quite expensive to repurchase. Although I still have a few small blemishes and scars, they have reduced and faded dramatically and there has been a massive improvement in the overall state of my skin. I would highly recommend this product to anyone who is looking to reduce the appearance of scars or dark spots. I love this though, and really haven’t found any treatment which works as well as this does at reducing scarring. Even prescribed treatments from the GP haven’t worked as well as this does – they would always tend to dry out my skin and leave it with a flakey residue. After experiencing the amazing effects of the Effaclar Duo [+], I decided to try out the Effaclar Anti Blemish System. This comes with a Purifying Foaming Gel, Clarifying Toner and Effaclar Duo [+]. To be completely honest, I felt like the cream worked best on my skin and didn’t seem to notice a huge difference with the other products, which is why I didn’t feel it necessary to write a full review on the whole system. I’d love to hear your thoughts on Effaclar Duo [+]? What other La Roche Posay products have you tried that are worth a go?